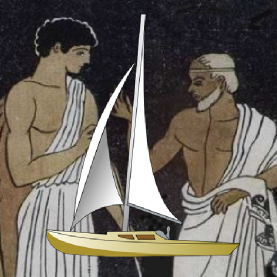 Mentors show you how to head into the wind (of life) as the Greek etymology of mentor/tillerman implies. You will be lucky to have several (at least) profession-supporting mentors for guidance as careers evolve. These people stay with you for years, helping you form your thoughts and strategies. Often they have ten or more years of experience in advance to you. Not so obvious to you is that the most important part of there experience cannot be put into words. They must show you often by means of indirection since direct instruction would seem confusing — or even wrong, based on what you have learned up to this point. If you are especially lucky you will apprentice to your teacher and mentor. This type of mentoring in rapidly evolving technologies has become less common in recent decades. Mentors are usually experts in your domain and are able to spot gaps in your skill set and as these fill they show you how to take full advantage of your high capability areas. Ironically, you might not be aware of your high capability areas as work —- because as a ‘natural’, it seems almost like play. Mentors will sometimes save you when you have wandered into deep water or… as you will find out… the ‘rip-tides’ of business — when schedules change and resources don’t. You cannot rely on this but you will never forget when you are saved from these potentially “professional life”-risking experiences. Also to your great advantage, your mentors will have a wide range of contacts which in this highly networked global work world are ever more essential. Who will you call when you are in China, India, or Europe when you urgently need help?